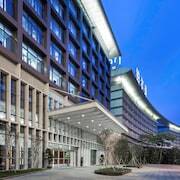 Cheap easy going hotel in a good area of Guangzhou. 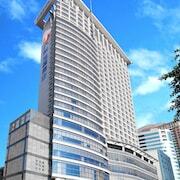 this is a high quality hotel in Guangzhou. This is our usual hotel in Guangzhou. Such a lovely place, Near the Canton Fair. Good to stay, nice staff. Property was near many restaurants. Subway was within easy walking distance. 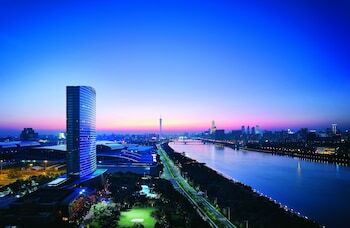 Hugging the southern coast of China, Guangzhou is a thriving city. 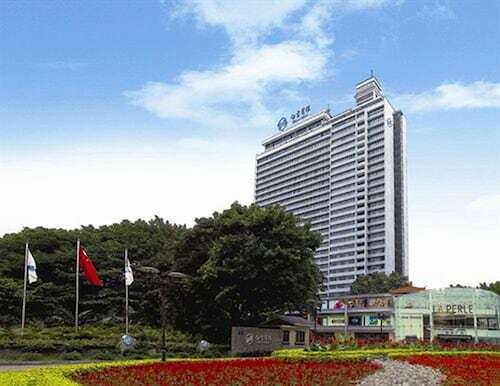 Not only will you find natural attractions, such as the Pearl River and White Cloud Mountain, but you’ll be met with loads of commerce and important landmarks. Spiritual sites including Sacred Heart Cathedral and Guangxiao Temple welcome you to enjoy some quiet moments of peace and reflect amid a holiday in a hectic city. Afterwards, grab your camera and head to the Canton Tower or Lotus Hill for some stunning panoramas. 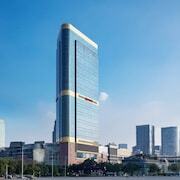 Go ahead, tire yourself out: Guangzhou hotels can’t wait to welcome you after a long day. 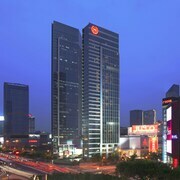 Accommodation in Guangzhou, China, ranges from high-end resorts to budget-friendly properties. 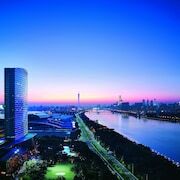 Whether you want to save your cash for dinner (after all, Guangzhou is the birthplace of dim sum) or splurge on a suite upgrade, you can find just the right place to stay. 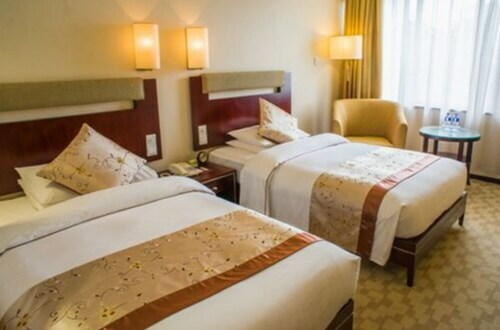 The community has many distinct districts; if you want easy access to attractions and eateries, book your stay in the Beijing Lu or Shangxiajiu Lu. 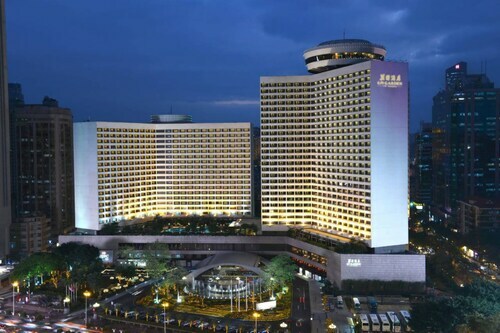 The best time to visit Guangzhou may be November and December. Late autumn and early winter days are cool, yet comfortable, especially when compared to sticky summer days when you will be among tons of other tourists. 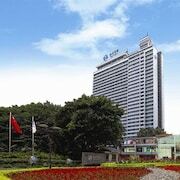 Once you’re in this region of China, you can count on the train system, water and land taxis, or our Guangzhou car rentals to get around during your holiday. 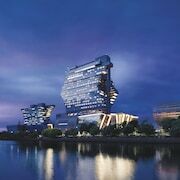 Expedia.co.nz has the best deals on Guangzhou airport hotels and more. Whether you want a large family suite, or you’re interested in small budget-friendly motels, you can always find the right place to stay. Expedia.co.nz never charges a booking fee, and the Best Price Guarantee means you can reserve your room with confidence. 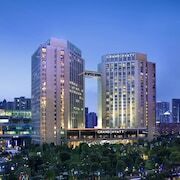 Your adventure in Guangzhou starts right here on Expedia.co.nz today! 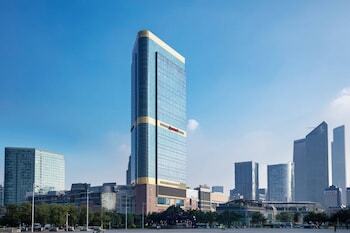 Explore Guangzhou with Expedia.co.nz’s Travel Guides to find the best flights, cars, holiday packages and more!